The National Association of Idoma Students wish to eulogize the doggedness of the Senate President and the Senate of the Federal Republic of Nigeria for their unflinching commitment to the Sustenance of our nascent democracy. We sympathize with our brethren from the North eastern Part of the country on the terror unleashed on them by the insurgency and salute the courage of the Nigeria armed forces which have not relented in battle to sustain our sovereignty and reclaim our territory from the insurgents. Our heart goes to the fathers and mothers, wives and children of these great men who laid down their lives in the defence of our great country and pray that God gives their family the fortitude to bear the loss. 1.That Idoma Students shall vote and defend their Vote for President Goodluck Jonathan at the Forth coming polls. 2. That Senator Dr. David Mark remains the best representative the Idoma Nation can produce and urge Idoma Students to come Out en-mass to vote and defend their vote. 3. That the National Association of Idoma Students shall declare any individual who contends with Sen. Dr. David Mark a personal nongratea keeping in mind that the choice of a Senator who will return as President of the Senate surpasses any form of personal or group interest who will jeopardize the chances of the Idoma Nation. 4. That there is no better candidate than Prince Terhemen Tarzoor who has all it take to turn around the fortunes of the Benue people. 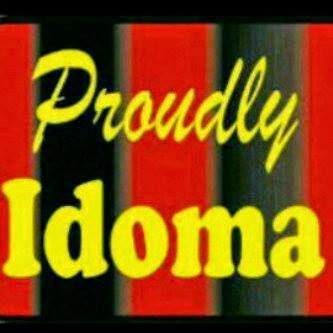 In view of this the National Association of Idoma Students shall mobilize to deliver a fellow Youth as Governor come 2015. In view of this all stake holders and students are advised to synergize toward protecting and defending the Idoma Legacy under the leadership of Senator David A B Mark(GCON).